This sign is located inside the Snowmass Ski Instructors locker room on the mall at Snowmass. Photos of it are below (click on the images to enlarge). Curt Chase was popular with ski instructors at Aspen Mountain, Buttermilk and Snowmass. 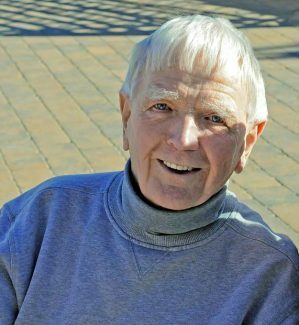 Curt Chase, a man who helped write the book on American-style ski instructing and guided the Aspen Skiing Co.'s ski schools during its greatest growth, died Friday at his home in Silverthorne at age 91. Chase was a founding member of the Professional Ski Instructors of America in 1961 and was inducted into the Colorado Ski and Snowboard Hall of Fame in 1989, largely for his role in advancing ski-instructing techniques and standards. But in Aspen, he is remembered best for embracing and inspiring hundreds of ski instructors between 1963 and 1983. His nickname was "Papa Bear." "We were a family and he was Papa," said Sue Kern, who worked for the ski school for 46 years. Betsy, his wife of 56 years, said Chase really had two families — her and their children, and the ski school. "He always prided himself on being able to name every one of (the instructors)," she said. "It truly was a family." Chase grew up in the Northeast and was at the University of New Hampshire when World War II broke out. He enlisted in the 10th Mountain Division and probably first visited Aspen in 1943 or '44 while on leave from Camp Hale, according to his family. He was in combat with the famed mountain troops in Italy in 1945. "He was part of the assault on Mount Belvedere," his son Jimmy said. After World War II ended, Chase organized the Aspen Mountain Ski Patrol and helped train and direct the patrollers in the first season of the original Lift 1, Betsy said. That would have been 1946-47. Unfortunately, he broke his leg and left Aspen to seek treatment at a Veteran's Administration hospital in Utah, she said. His early career took him away from Aspen but he always bounced back. Chase had the foresight to buy property in Aspen in 1946 in a deal brokered by Jimmy Moore. "It was three lots and a one bedroom cabin that sat where the concession stand is located for the Silver Circle Ice Rink," Jimmy said. Chase paid $500. During the late 1940s and early 1950s, Chase spent time teaching in the Aspen Mountain Ski School and also was hired as a civilian instructor for skiing and mountaineering for the Strategic Air Command. On one stint in Aspen, Chase worked the front desk of the Hotel Jerome. He told Betsy that he would have to scramble when the till wouldn't balance — borrowing the difference from other funds or even dipping into his own pocket to make sure he didn't get in trouble. He decided the hotel business wasn't for him. Chase once shared a house on Third Street in the West End with several other young men, Betsy said. They would let their used clothes pile up, and when all the clean clothes were gone, they'd put the pile through the sniff test to determine what they could wear. "It was the ideal bachelor pad," Betsy said. Chase and Betsy met in Newt's Bar and Grill in downtown Aspen in November 1956. They ran into each other the next day at the Sundeck and skied together with some other friends. She thought she was a good skier, having been in Europe the previous two winters. It turned out that Chase, always keen on ski technique, wasn't impressed. "I found out later he didn't think I was that good of skier," Betsy said. He kept offering tips up through the last time they skied together, about four years ago. "I had the world's longest lesson," Betsy said. Betsy and Chase were married in 1958 and Chase was forced to boot out his two roommates at the cabin he owned, which Betsy dubbed Curt's Corner Cabin. It was great place to live, she recalled. From the bottom of Aspen Mountain they could just ski across a meadow to return home on Durant Avenue. The newlyweds moved in 1959 to Red Lodge, Montana, where Curt ran the ski school and they also operated a ski shop. Four years later they were recruited back to Aspen, where Chase was named co-director of the ski school with Bill Mason. Mason pursued his career in real estate sales and Chase took over as lone director of the Aspen Mountain Ski School. Betsy couldn't recall specifically who recruited Chase but she said Aspen wanted him because he had worked hard on a modified Austrian technique of teaching skiing. The Colorado Hall of Fame credits Chase with perfecting the "basic turn" approach to skiing, which became known as the American Ski Technique. Chase helped establish the Professional Ski Instructors of America to implement the same teaching techniques and standards throughout the country. Chase received a lifetime achievement award from the organization at a ceremony in Snowmass Village in April 2011. A report in The Aspen Times by correspondent Robin Smith said Chase was in awe that so many of his former employees at the ski school turned out for events to honor him. Chase's ski school responsibilities eventually expanded to include Buttermilk and Snowmass. Numerous former ski instructors who rose through the ranks under Chase still remember him fondly. Linda Harlan started as a children's ski instructor at Buttermilk in 1966 and soon was promoted to supervisor. Chase was a disciplinarian that demanded a professional behavior and appearance from instructors, she said. His approach made the instructors proud to be part of the organization. "The old-time instructors — it used to be an honor," Harlan said. "He made you proud to be an instructor." While he had his spit-and-polish side, Chase also hung out with his instructors apres ski and knew how to have fun. "He was like your friend, too, not just the boss," Harlan said. Kern said she was a "young girl" when she joined Chase's ski school in the early 1960s. She respected him for showing no gender bias. Women instructors received the same pay as men, and they had the same access to students. "He treated the woman exactly as he did the men," Kern said. "It was very unusual in Aspen in that day." Ken Oakes was teaching skiing at Crested Butte in 1966 when he met Chase while Oakes was getting his certification as an instructor. They hit it off and Chase invited him to become an instructor at Buttermilk. That started a friendship that lasted the rest of Chase's life. Oakes said he always admired Chase's professionalism. "I think it was his dedication to the sport of skiing," he said. "He lived and breathed it." Chase had to approach his job with some level of tact. In the mid-1960s, there was a revolution between old school European instructing and the more modern techniques Chase helped perfect. Aspen Mountain had a lot of European instructors, Oakes noted. Chase had to coax them to adapt. Oakes moved from Buttermilk to Aspen Mountain. In 1979, the Snowmass Ski School was split off from the others and Chase was the director at the village. Oakes transferred to Snowmass to continue working with Chase. Chase is remembered for constantly studying ski technique throughout his 20 years of running the ski school. When World Cup racers trained and competed on Aspen Mountain, Chase would be up on the hill with them, studying techniques. The studies were reflected in Chase's own skiing. "He was very precise," Oakes said. "He made such a clean turn." Instructors would urge people who didn't know Chase to try to follow his exact path and keep up with him. It didn't look like a challenge because Chase was deceptively fast, Oakes said. Very few people could keep up with him. "His skis didn't slip sideways very much," Oakes said. Chase parted ways with Aspen Skiing Co. in 1983, moved to Summit County and became an instructor at Keystone. Chase was last on skis about three years ago, on Ego Hill at lower Tiehack. "I made his last turns with him," Oakes said. Chase died peacefully at his home. Betsy, their daughter Heidi and Jimmy were at his side along with two close friends. Betsy said Chase didn't want a memorial service. A lot of people are sharing their memories with the family through various ways. Jimmy said he would remember his dad as a hard worker, a person who was in charge but quiet about it and "kind of a gentle giant." "He is a great example of the man I'd like to be," he said.